GST is a destination tax, meaning the tax base will shift from origin to consumption. Hence, the imports or end-use will be liable to tax and exports or production will be relieved of the burden of tax. 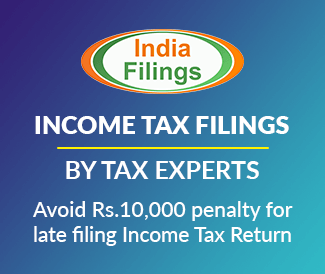 Under the present regulation, on a taxable event, there could be multiple tax liabilities like central excise, in case of manufacturing, service tax in case of sale of service and State VAT in case of sale of goods. Under GST, there would be a shift from multiple taxes to a single taxable event. To understand the concepts of CGST, SGST and IGST, it is first important to understand the concept of inter-state vs intra state supply of goods and service, under GST. As in every taxable transaction, it is important to distinguish between inter-state vs intra-state supply to determine if CGST or SGST or IGST would be applicable. To determine if a supply is inter-state or intra-state, the location of the supplier and the place of supply must first be determined. An inter-state supply of goods or service is one where the location of supplier of goods/service and place of supply are in different states. In addition, supply of goods or service to or by an SEZ developer or SEZ unit, supply in the course of import of goods or service, supply when supplier is located in India and the place of supply is located outside India (export) and any other supply not covered under intra-state is treated as inter-state supply. 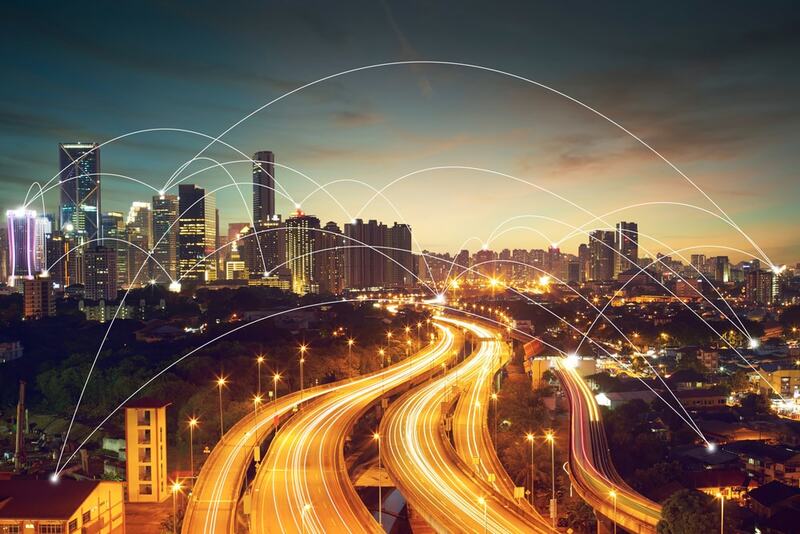 An intra-state supply of goods or service is when the place of supply is in the same state as the location of the supplier. Intra-state supply does not include supply of goods/service to SEZ units or developers, imports or exports. 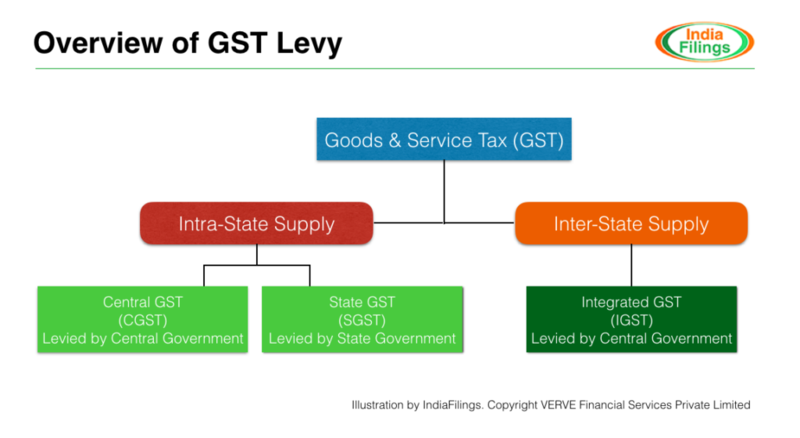 Illustration- How GST is Levied? The following taxes shall be levied on all intra-state supplies of goods, or services or both, at such rates specified in the Schedule to the said Act on the recommendation of the Council, but not exceeding 14%, each. Such CGST and SGST is to be paid by a taxable person. CGST is applicable on both, goods and services. CGST is levied by the Central Government through a separate statute on all transactions of goods and services made for a consideration. Proceeds would be shared between the Central and State Government. State GST or SGST is a tax levied under the SGST Act on intra-state supplies of goods and services, that is administered by the respective State Government. SGST lability can be set off against SGST or IGST input tax credit only. SGST is levied by the State Governments through a statute on all transactions of supply of goods and services. SGST would be paid to the accounts of the respective State Government. Integrated GST or IGST is the tax levied under the IGST Act on the supply of any goods and/or services in the course of inter-state trade across India. Further, IGST would include any supply of goods and/or services in the course of import into India and export of goods and/or services from India. IGST will replace the present Central State Tax which is levied on the inter-state sales of goods. Thus, IGST would be applicable for all inter-state transactions, import and export of goods and/or services. Central Government would levy and collect IGST instead of CGST or SGST. Levied on inter-state supply of goods and/or services. Includes import of goods and/or services. Exports would be zero rated. IGST would be shared between the Central and State Government. Lets assume that an almond trader in Mumbai, Maharashtra supplies almonds worth Rs.1 lakh to a shop in Pune, Maharashtra and the rate of CGST is 6% and SGST is 6%. In such a case, the almond trader would charge a CGST of Rs.6000 and SGST of Rs.6000 on the basic value of the product. The trader would then be required to deposit the CGST component into a Central Government account while the SGST portion into the account of the concerned State Government. Lets assume that an almond trader in Mumbai, Maharashtra supplies almonds worth Rs.1 lakh to a shop in Chennai, Tamil Nadu and the rate of IGST is 12%. In such a case, the almond trader would charge a IGST of Rs.12000 on the basic value of the product. The trader would then be required to deposit the IGST component into a Central Government account.